It is Jade from Leading Lady Beauty who introduces me to this nail polish. Well, not the exact same one. 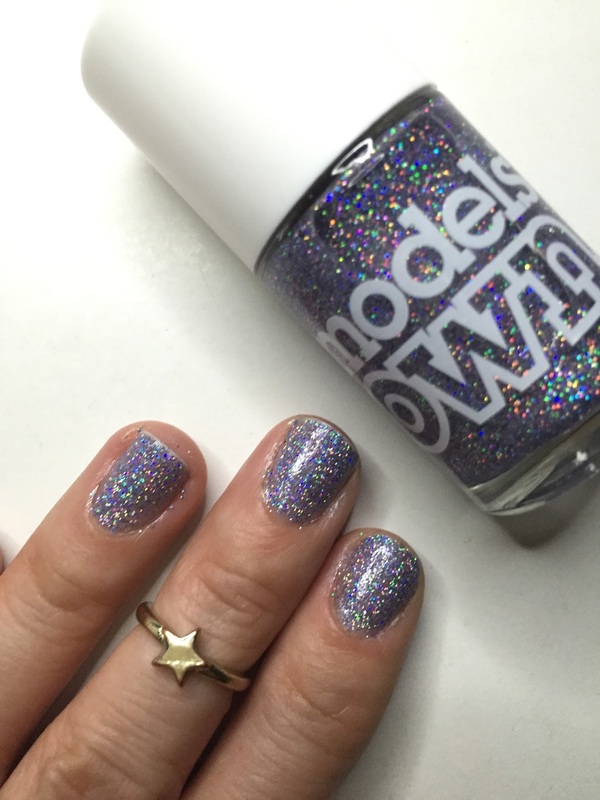 In fact Jade mentioned the Models Own Northern Lights shade , which is pinky purpley glitter, but I couldn't find it. Instead I found Southern Light. 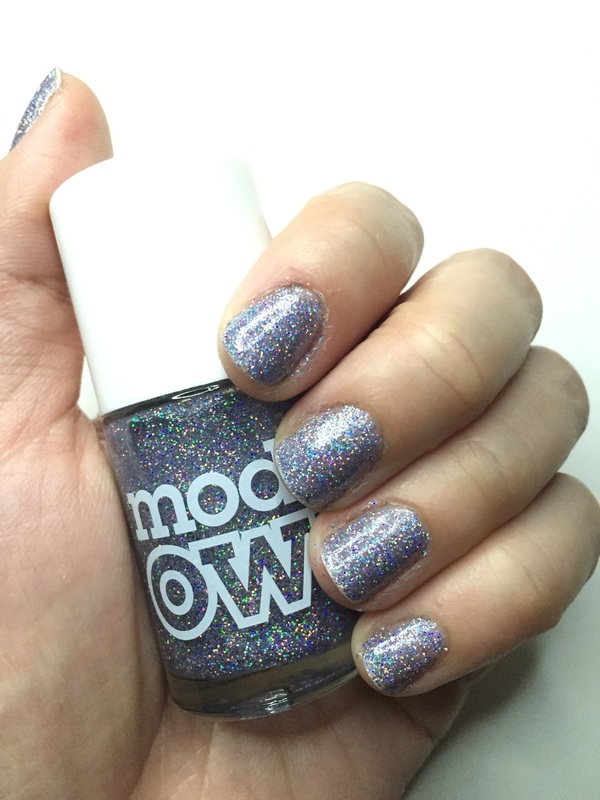 I probably prefer Southern Lights as it is with blue & silver holographic glitter, very winter wonderland style. The glitters are quite fine actually. One clear base coat, then two coats of Southern Light provides an amazingly dense coverage! Which is something that I rarely come across with glittery nail polish. Without a top coat, it provides a matt finish, but I love to put a thick coat of shiny topcoat to "encase" the glitter inside! It is so festive & beautiful.